Weekend Open Forum: What are your personal highlights from E3 2015? After an eventful E3 2015, it’s time to look at back at some of our personal favorites from the show. Microsoft, Sony, Nintendo, Bethesda, EA, and Ubisoft all seem like they had something interesting to show. For me, anything that isn't a game really isn’t that interesting, I’ll find out about that stuff later. Although, the customizable Xbox controller and the 360 backwards compatibility were both pretty nice reveals for Xbox gamers. Fallout 4 was certainly on everyone's mind, after Bethesda dropped the debut trailer on us ahead of the big show, Rise of the Tomb Raider was looking pretty action packed, but Cupman stole the show at Microsoft's showcase in my opinion. As for Nintendo, well, it wasn’t great, but it wasn’t horrible. Mario Maker actually had a pretty good showing and looks interesting after an eventful Nintendo Championships, but Strarfox was underwhelming at best, and well, no Wii U Zelda. Sony showed off more Uncharted 4 which is looking great (but kinda the same old thing), Hitman is back (whoo! ), Destiny is getting an expansion, and the Final Fantasy VII remake for Playstation 4 had me drooling. 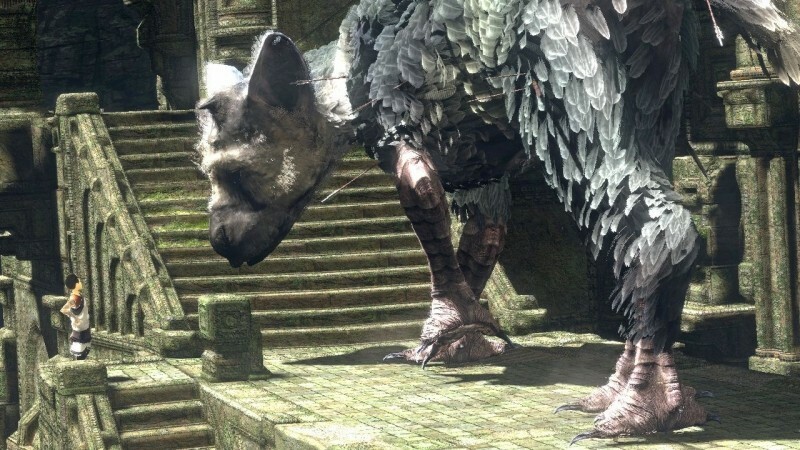 But best of all, The Last Guardian actually exists. Not normally the type of game I would be into, I’m actually really hyped for this one. It’s scheduled for a 2016 release date (fingers crossed). For this week’s open forum, we want to know what had you most hyped from E3 2015. Was it the epic multiplayer battles in Battlefront? What did you think of Horizon Zero Dawn, the Shenmue 3 Kickstarter and Dishonored 2?